Conflict Experience; Nurses; Hospital Setting; Nursing Conflict Scale (NCS). Conflict is one of the issues that takes place in any organization specially hospitals where continuous human interactions occur. Nurses play different roles such as care provider, educator, and manager. These roles lead to various types of interactions among nurses and other health care team members, which significantly increase the probability for conflict to arise in hospital settings among nurses . Conflict is a dynamic process that can be positive or negative, healthy or dysfunctional, within work environment. Conflict is the consequences of experienced or perceived variations in common goals, values, ideas, attitudes, beliefs, feelings, or actions . Conflicts arise for many reasons: it can originate because of competition among professionals and variations in economic and professional values. Scarce resources, reform, poorly defined roles and expectations, the ability to work as a team, interpersonal communication skills, and expectations about level of performance in various nurses' roles are all sources of conflict in health care organizations [2-4]. There are many types of conflict nurses may experience in the hospital setting. Intrapersonal conflict which occurs within one individual, interpersonal conflict which occurs between two or more individuals, intragroup conflict which occurs within one group, intergroup conflict which occurs between two or more groups, competitive conflict which occurs when two or more groups attempt to reach a common goal, and disruptive conflict which results from trying to reduce or defeat the opponent. The last type of conflict is common between nurses and physicians and has been reported by both professions [5,6]. Nurses and physicians especially in the Middle East region continue to be educated with misunderstanding of their roles. Both professions do not cultivate the concept of health care team members among the graduates. Physicians always are considered the dominating profession in the hospital setting. This misunderstanding of roles creates identity conflict between nurses and physicians. Physicians are taught to be the leaders responsible for patients and must handle all situations. Value based disagreements occur between nurses and physicians when one party attempt to force own set of values on another . Nurses as other health care professionals offer different point of views to the health care team to provide quality patients' care. These various perspectives can sometimes lead to conflicts between nurses and physicians regarding patients’ care regimen. Additionally, stressful work environment can be a source for tension, miscommunication, and conflict, not only among health care professionals but patients as well. Conflicts in hospital settings can lead to violence, unless handled appropriately. The consequences of poorly or unmanaged conflict could affect negatively the quality of patients’ care . Over the last century, attitudes toward conflict have significantly changed. Currently, nurse managers view conflict as a natural phenomenon that can exist in any organization. Regardless of the way conflict was treated by nurse managers; each conflict has an aftermath which affects professionals as well as patients in the organization either positively or negatively [2,9]. Moreover, inappropriately treated conflicts lead to negative consequences for nurses, patients and the organization. These negative consequences include unprofessional nurses' behaviors which lead to lack of organizational commitment and finally poor quality of patients' care [10-12]. Because conflict is an everyday problem in the hospital setting especially for nurses and because of its negative consequences if poorly treated; the current study aimed to describe types and levels of conflict experienced by nurses in the hospital settings. The current study aimed to identify types and level of conflict experienced by nurses, determine the relationship between demographic characteristics of the study sample and experienced level of conflict among nurses. A quantitative descriptive coorelational research design was utilized to determine the level and types of conflicts experienced by nurses in the hospital settings. A convenient sample of 128 nurses who work in five governmental and private hospitals in Amman, Jordan, and agreed to participate in the study composed the study sample. The current study conducted in five governmental and private hospitals in Amman, Jordan. For study purposes hospitals’ departments were divided into three categories: Inpatient, outpatient, and critical care departments. Nursing conflict scale (NCS) aims to assess the types and level of conflict experienced by nurses in the hospital settings. NCS was primarily developed and tested in Ain Shams University Hospital; Cairo, Egypt by El-shimy, Abdel El-Megid, and Mohamed . The total instrument reliability is (0.86). The instrument consists of thirty six items uses three point scales (0-2): 0= no, 1=sometimes, and 2=yes with a total score of (72). NCS is categorized into five categories of conflicts: Disruptive conflict (5 items), interpersonal conflict (7 items), intrapersonal conflict (6 items), intergroup conflict (6 items), intragroup conflict (6 items), and competitive conflict (6 items). The scoring system of the instrument was calculated as: Low conflict experience level ranges from 0 to 24 (<33.3%), moderate conflict experience level ranges from 25 to 48 (33.3 - <66.7%), and high conflict experience level ranges from 49-72 (≥ 66.7%). Data was collected from February 2013 to July 2013. Questionnaires were given to nurses in their workplace after oral permission has been obtained from each nurse before data collection. Each questionnaire took five to ten minutes to be completed by each nurse. After completion of each questionnaire the nurse were asked to return it to envelop available on the central station of the unit. These envelopes were collected back by the researcher from the first line managers of those units. Study proposal was approved by the Institutional Research Board (IRB) of Zarqa University. Official permission was obtained from the corresponding author to utilize the NCS. Data were collected after official permission was granted from the selected hospitals. Nurse participated in the study were informed that: participation in the study is voluntary, data collection was anonymous, and data were collected only for research purposes. Data were entered, coded, and analyzed using Statistical Package of Social Sciences (SPSS) version 18. Descriptive statistics such as percentages used to describe the study sample. Frequencies of instrument’s items were employed to calculate level of conflict perceived by nurses in the selected hospitals. Both mean and standard deviation were used to determine types of conflict experienced by nurses. Finally Chi Square (x2) was used to determine which of the sample characteristics affects nurses’ experiences of conflict. Table 1 showed the demographic characteristics of the study sample. The table revealed that the majority of nurses included in the study were female form general wards in private hospitals, have an average age between 18 and 25 years old, and holding a bachelor degree in nursing. Figure 1 revealed the types of conflict experienced by study sample. The figure indicated that the highest mean scores of experienced conflict among study sample were Intragroup, competitive followed by disruptive (1.21, 1.20, 1.04) conflict respectively. 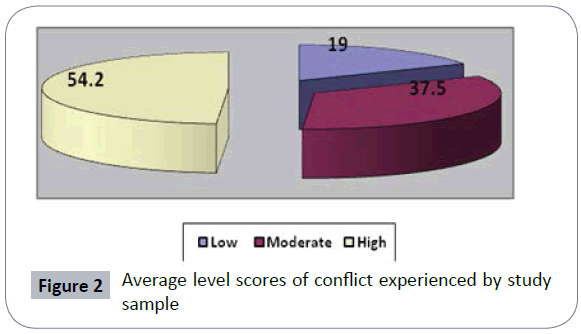 Figure 2 reflected the levels of conflict experienced by study sample. The study emphasized that the majority of study sample have moderate level (37.5 out of the total NCS score 72) of conflict. Table 2 showed the relationship between experienced level of conflict and demographic characteristics of the study sample. The table implied that only type of hospital that affected the level of experienced conflict among study sample. The current study aimed to identify types and level of conflict experienced by nurses in the hospital settings, determine the relationship between demographic characteristics of the study sample and experienced level of conflict among nurses. The study revealed that nurses experienced a moderate level of conflict according to the NCS scoring system, only type of hospital from the study demographic characteristics that affected the level of conflict experienced by nurses in the selected hospitals. Finally, intragroup conflict between nurses, competitive conflict that arises between nurses as a result of the injustice from the side of nurse managers, followed by disruptive conflict that arises between nurses and physicians were the most common types of conflict experienced by the study sample. Intragroup and competitive conflicts are related to each others as both arise among nurses for instances, because of competition on opportunities for growth and development and the injustice from some nurse managers in the way all nurses are treated. Additionally, disruptive conflict from the attending physician arises because of the interaction between nurses and physicians during patient care. This type of conflict also called interprofessional conflict which is inherent in working teams such as health care teams. Role boundary issues; scope of practice; responsibility; accountability; and people in dominant positions are all sources of interprofessional conflict. This type of conflict negatively affects work environment that lead to nurses work dissatisfaction, turnover, poor patients’ satisfaction and outcomes . These results were supported by the study conducted by Elshimy, Abel El-Megid, and Mohamed (2002)  which aimed to develop an instrument to measure conflict among nurses and examines its validity and reliability. The study was conducted on 80 nurses selected randomly from the hospital setting. The study indicated that the developed nursing conflict scale is a reliable and valid scale, and the nurses experienced a moderate level of conflict (38.1). Moreover, Kunaviktikul, Nuntasupawat, Srisuphan, and Booth (2000)  described level of conflict, conflict management styles, level of job satisfaction intent to stay and turnover among nurses in Thailand. The study reflected that nurses had a moderated level of conflict and accommodation was the most used strategy to resolve conflict by nurses. Another study aimed to explore the relationships between scope of practice and communication among teams of nurses from Sydney metropolitan hospitals in New South Wales. Nurses asserted that unless they realize their roles and scope of practice intra-professional workplace conflict may arise. In addition intra-professional conflict may negatively affect both nurses and patients . Additionally, Zakari et al. examined the relationship between nurses' perceptions of conflict and professionalism in three health care sectors in Saudi Arabia. The Perceived Conflict Scale was employed to assess level of conflict, and the Valiga Concept of Nursing Scale was utilized to assess perception of professionalism among nurses. The study showed a low perception of professionalism among nurses and intragroup type of conflict had a statistically significant correlation with the perception of professionalism. Furthermore, a study aimed to determine type and frequency of interpersonal conflict, an explanation of the most distressing event experienced, consequences of the behavior; and training to manage such events among nurses in their first year of practice in New Zealand. The results reflected that many nurses in their first year of practice experienced interpersonal conflict; which lead to a higher rate of absenteeism and affected their intent to leave the profession, nurses also reported that they did not receive any training to handle such events . In addition, Bishop  implemented an exploratory descriptive research design to explore frontline nurses’ incidents of conflict at work. Data were collected through an interview for five participants. The study emerged the following themes: what happens (nurses consume younger nurses, the nurse-doctor competition, and lack of cooperation from nurse leaders), why it happens (dominated group behavior, power over), and how nurses respond (lack of commitment, lack of expectation, reaction, communication, keep forward). The results indicated a negative impact on the quality of work life. The study also developed implications for nursing education and practice. On the contrary, a study was performed at the Federal University of Minas Gerais Hospital to examine how nurses handle conflicts in the work environment. Data were collected on two stages: questionnaire followed by semi-structured interview for research participants. Data was categorized into thematic content. Some participants emphasized the experience of intrapersonal, interpersonal and intergroup type of conflict . The current study concluded that nurses experienced moderate level of conflict, intragroup conflict within nurses and disruptions from physicians are the most common types of conflicts experienced by nurses in the selected hospitals. Therefore, the study recommends that nurse managers in the selected hospitals need to employ effective conflict management strategies to decrease conflict between nurses. Develop collaboration between nurses and physicians to create healthier and more productive work environment which positively affect the quality of nursing care. In the selected hospitals, role clarification for nurses and physicians to avoid role ambiguity is essential. Nurse managers must improve their supervisory role, communication, and use justice in the way all nurses are treated to decrease the experience of interpersonal and competitive conflicts among nurses. Finally, develop concept of health care team and identification of roles within that team through integrated education between nurses and physician especially in practical courses. This research was funded by the Deanship of Research at Zarqa University, Jordan. Xu Y, Davidhizar R (2004) Conflict management styles of Asian and Asian American nurses: implications for the nurse manager.Health Care Manag (Frederick) 23: 46-53. Marquis BL, and Huston CJ (2012) Leadership roles and management functions in nursing: Theory and application. (7 eds) Lippincott Williams and Wilkins, Philadelphia. Tomy AM (2000) Guide to Nursing Management and Leadership. St. Louis: Mosby Company. Kleinman CS (2004) Leadership strategies in reducing staff nurse role conflict.J Nurs Adm 34: 322-324. Leever AM, Hulst MV, Berendsen AJ, Boendemaker PM, Roodenburg JL, et al. (2010) Conflicts and conflict management in the collaboration between nurses and physicians - a qualitative study.J Interprof Care 24: 612-624. Sullivan EJ (2012) Effective leadership and management in nursing. (8 eds) Pearson, Boston. Gardner D (2010) Expanding scope of practice: inter-professional collaboration or conflict?Nurs Econ 28: 264-266. Buchbinder SB, Buchbinder D (2014) In, Rubino L, Esparza S Chassiakos YR New leadership for today's health care professionals: Concepts and cases. (1 eds) Jones & Bartlett Learning, USA. Venkatesh J, Kirubaharan TK, Sekar S, Thenmozhi S, Balasubramanie P (2012). Conflict administration in multicultural organization: An informative life approach. 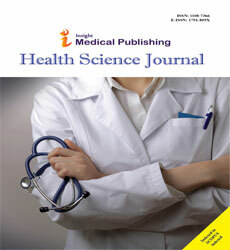 Life Science Journal. 29: 2451-2456. Peiró JM, González-Romá V, Tordera N, Mañas MA (2001) Does role stress predict burnout over time among health care professionals?Psychol Health 16: 511-525. Kjørmo O, Halvari H (2002) Relation of burnout with lack of time for being with significant others, role conflict, cohesion, and self-confidence among Norwegian Olympic athletes.Percept Mot Skills 94: 795-804. Jex SM, Adams GA, Bachrach DG, Sorenson S (2003) The impact of situational constraints, role stressors, and commitment on employee altruism.J Occup Health Psychol 8: 171-180. Elshimy HM, Abel El-Megid M, and Mohamed S (2002) Nursing conflict scale: Development of an instrument and testing its validity and reliability. The Scientific Journal of Al-Azhar Medical Faculty (Girls) 23: 679-693. Brown J, Lewis L, Ellis K, Stewart M, Freeman TR, et al. (2011) Conflict on interprofessional primary health care teams--can it be resolved?J Interprof Care 25: 4-10. Kunaviktikul W, Nuntasupawat R, Srisuphan W, Booth RZ (2000) Relationship among conflict, conflict management, job satisfaction, intent to stay, and turnover of professional nurses in Thialand. Nurs Health Sci 2: 9-16. Eagar SC, Cowin LS, Gregory L, Firtko A (2010) Scope of practice conflict in nursing: a new war or just the same battle?Contemp Nurse 36: 86-95. Zakari NM, Al Khamis NI, Hamadi HY (2010) Conflict and professionalism: perceptions among nurses in Saudi Arabia.Int Nurs Rev 57: 297-304. McKenna BG, Smith NA, Poole SJ, Coverdale JH (2003) Horizontal violence: experiences of Registered Nurses in their first year of practice.J Adv Nurs 42: 90-96. Bishop SR (2004) Nurses and conflict: Workplace experiences. (Unpublished master thesis) University of Victoria, Canada. Spagnol CA, Santiago GR, Campos BM, Badaró MT, Vieira JS, et al. (2010) [Conflict situations experienced at hospital: the view of nursing technicians and auxiliaries].Rev Esc Enferm USP 44: 803-811.